MAMEM to conquer the Far East, we presented the project in the CMEF Traid Fair Spring edition. 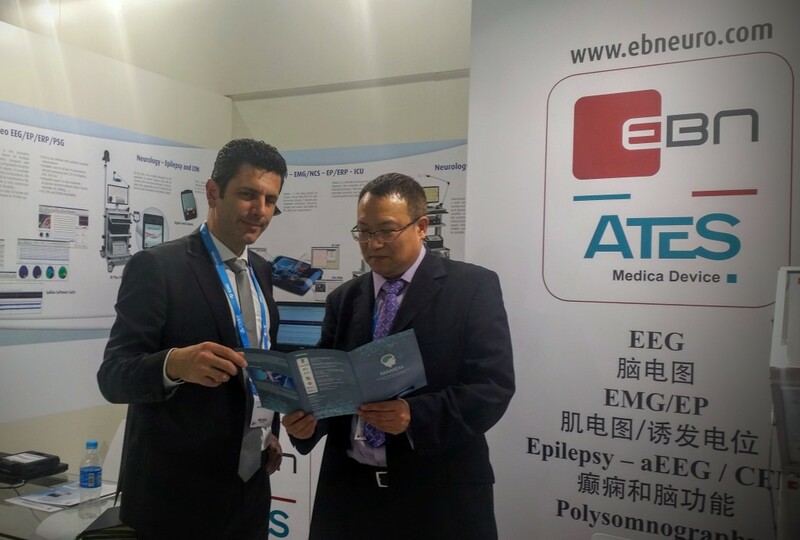 CMEF Spring Edition is the main Medical trade fair in China, held contemporarily with Farmchina and API China, In his second edition in Shanghai the Fair scored the impressive amount of 6800 exhibitors and professional 210.000 visitors from 150 countries. During the exhibition EB Neuro had the chance to explain the visitors about the new possibilities that will be opened from the MAMEM project, as soon as the results will be made available for exploitation.